Learn the seven step framework to communicate with ease and peace of mind in difficult situations and crucial conversations. Learn wise word choice, the 8 words and 3 habits to avoid. Learn about effective body language and listening techniques. Learn to create win-win outcomes in any situation. If the time of day is not good for you, when you sign up you will have the opportunity to watch each days recording free for 24 hours. Learn the seven step CONTACT framework to be a great communicator. The CONTACT system will give you the tools you need to navigate those crucial conversations in any aspect of life, and on short notice. Learn how to use Masterminding to increase your learning curves and implement the seven step CONTACT framework. “Cutting edge communications techniques.” Cathy Sveen, MA, Mediator. 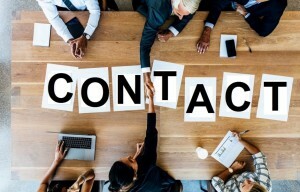 “We’ve already incorporated the CONTACT Communication System and Masterminding technique into our tool box and it is proving to be highly effective in many of our interactions. Michael’s insightful and interactive process provided much more than a few ideas – it has helped us to better navigate challenging situations with next level results.” Sam Blair, Senior Manager, Environment, Valard Group.